Doors become dirty from exposure to outdoor weather conditions, dirty hands or accidental spills. 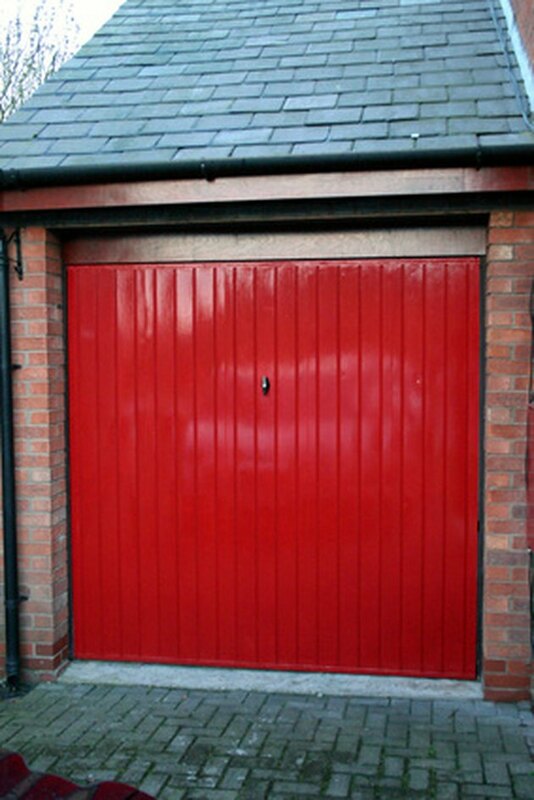 Dirty metal doors can make a house look shabby and worn down. Cleaning metal doors is a fast way to brighten up the exterior of a house. It is necessary to use the right products in order to avoid scratching and damaging the surface. Using abrasive products can remove the protective finish and allow the metal to rust. Clean metal doors to keep your home looking nice. Mix 1 tsp. of mild dish washing soap into 2 cups of warm water and pour into a spray bottle. If you have tougher stains, use tri sodium phosphate. TSP, available at paint stores, is an all-purpose cleaner that does not harm most surfaces. Place an old towel, large rag or layer of newspaper at the bottom of the door to catch drips from the cleaning solution. Spray the surface of the metal door with the soapy mixture or TSP. Begin at the top of the door and allow the spray to run down the door. Spray the entire door thoroughly. Wipe the door with a rag or sponge to remove grease, dirt and grime. Repeat on areas that have tough stains. Rinse the metal door with plain water and dry thoroughly with a soft rag.